Gilboa Dam Crest Gates - Gilboa, N.Y. 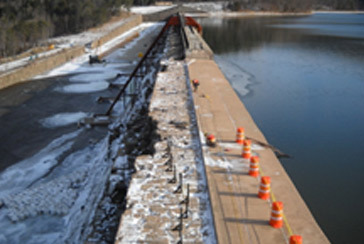 This project included modification to the top of the existing dam to set new Crest Gates System. System requires installation of stainless steel airlines/valves, instrumentation, equipment, wiring and controls to operate. Operations include: earthwork, setting precast building, paving, Ductbank, piping, equipment installation, demolition, concrete, assembling and setting gates, instrumentation, electrical wiring, hvac, and start up of the system.